Welcome to the BoyScoutCollectibles.com! We’ve created this site to help everyone in search of information or values of Boy Scout Collectible Items, whether you’re a seasoned collector, a new comer to the hobby, or would just like to learn some general information. With thousands of possible Scout related items out there, this site certainly doesn’t cover everything, but it does cover the rarest and most valuable items, if you have items that you can’t find information about on the site then feel free to Contact Us. We have pages detailing information on common items like Merit Badges, Shoulder Patches, Rank Insignia, Order of the Arrow items, and more. Scout Collectibles come in all shapes, sizes, and colors. Items span the gamut from Patrol, Troop, Council, Regional and National areas, to items from Cub Scouts, Boy Scouts, Explorers, Order of the Arrow, and other discontinued Scouting organizations like Sea Scouts and Air Scouts. Scouting started as a very small organization but grew rapidly, so extremely uncommon items from the earliest decade of scouting can be exceptionally valuable. Items dating from the last 40 or 50 years of scouting tend to be much more common and available so values aren’t as high. We’re always happy to help identify, date, and provide information on rarity and values of your Scouting items or collectibles, don’t hesitate to Contact Us. We offer a free service where we are happy to help identify and appraise any items or a collection of items you may have. Whether you bought a group of items at a yard sale, or inherited them from your father we are able to help you determine what you have an what it’s worth. We will offer to buy individual Boy Scout Collectible items, or entire collections depending on what you have and what you want to do. If your items are from the early days of Scouting from the 19-teens to 1920’s, and they are in fair to good condition, then there’s a good chance that they are valuable and we will probably make you an offer for them. Rare items dating to the 30’s, 40’s, and 50’s can be valuable as well and even a few very rare items from later dates. 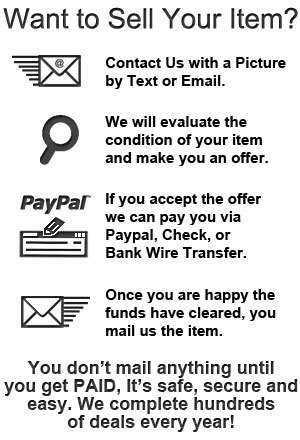 We make aggressive offers for rare or high-grade collectibles and we do many deals every year, usually beating out offers from other dealers and collectors. We don’t usually buy items from after the 1950s because they tend to be fairly common. While we are aggressive on our prices we are laid back and we never pressure you to sell, if you are looking to sell we are happy to help, if not we’re happy to have done our good deed for the day. For the fastest help you can email to Dale@BoyScoutCollectibles.com, once we’ve gotten some pictures we will respond and help however we can.